Unfortunately, this frightening thought is now a reality with the latest high-tech identity robbery circulating the world. Armed with RFID scanner readily available online and a small laptop, in close proximity, these 21st Century pickpockets can easily collect the sensitive account data being transmitted into the air waves by RFID enabled credit cards. These "just tap to pay" convenience cards transmit a constant signal with your account details into the air waves, ready to be intercepted, with no way to turn it off .............. Until Now. 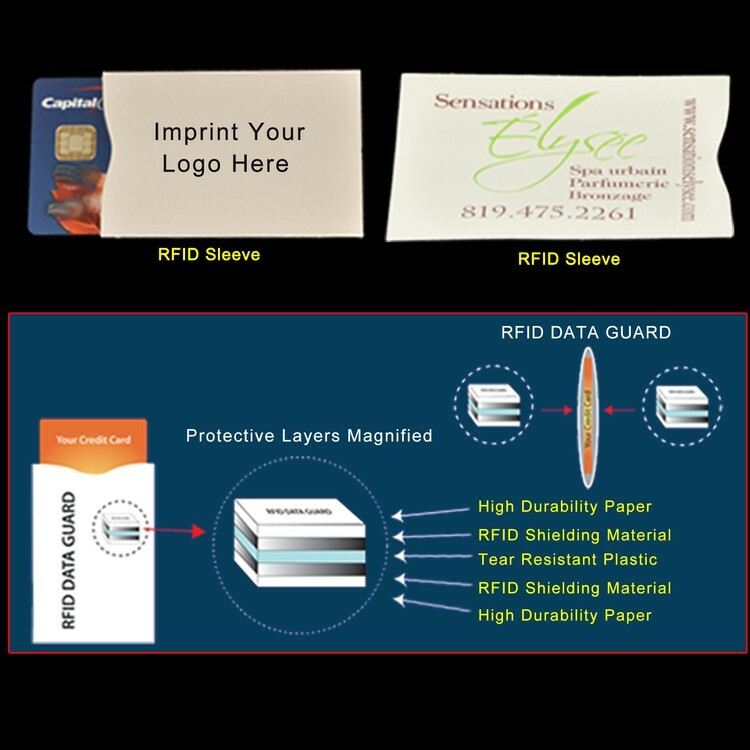 Introducing the Custom Imprintable Artmetal RFID Data Guard.This thin, lightweight sleeve fits perfectly over your card and contains a specially designed shielding technology that completely nullifies the radio waves that transmit your card details to rogue readers. So as a business you can enjoy potentially increased customer loyalty by eliminating your clients' concerns of having their financial information compromised. Equally attractive is the benefit of providing a unique promotional product that will promote your brand practically every time they reach to pay for something. Standard Price Includes: 1 Color imprint on 1 Side.